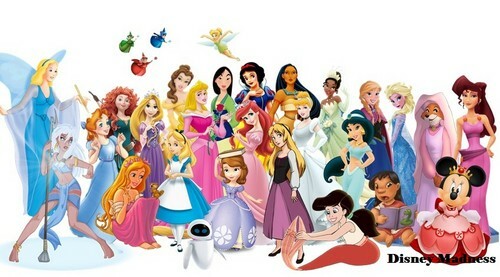 Disney Female Lead Characters . . Wallpaper and background images in the Disney club tagged: photo disney minnie princess movies merida ariel anna elsa frozen little mermaid sofia the first alice in wonderland rapunzel brave.